The Ubiquiti POE-50-60W adapter is a high quality device that complements the Ubiquiti solutions. 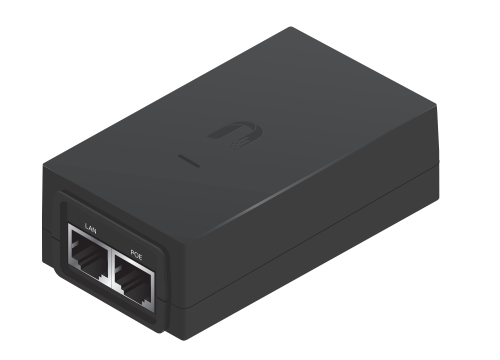 The POE-50-60W supports the passive Ethernet power solution. It is a reliable device. In combination with the Ubiquiti TOUGHCable grounding system it provides better protection from electrostatic discharges. The device's output voltage is 50 V with 1.2 A input power and 60 W power consumption. The device is IEC 60950-1:2005+A1, UL60950-1, EN55022:2010 and EN55024:2010 compliant. POE-50-60W is equipped with two Ethernet Gigabit RJ-45 ports. The device is based on durable components which results in quality and reliability as well as resistance to unfavourable weather conditions.